Another week begins and I hope it is a happy one for us all! 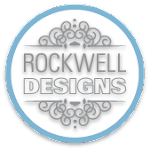 I have another entry for the challenge at Fusion and also a card for the Pantone card challenge Jackie Rockwell is having (you can win a custom designed blog header if you enter this one!). This is for the Dusk Blue challenge and I am hoping I get away with my pop of yellow. The idea started with the chalkboard on the fusion photo. But I am not a fan of the chalk board card trend so decided to go with this B&W HB stamp from Fresh Squeezed Stamps (actually all these stamps are from FSS). I then looked around my craft table and saw this blue frame that I had heat embossed the other week to go into Jackie's challenge and the Muse challenge that was hosted by my cousin Lynn. I didn't get around to it and is has been sitting on my desk waiting to be used. As Lynn is on the DT for Fusion it seemed appropriate to use it for this card. I decided to case this card I made a few weeks ago. Jackie gave me a few design tips on how to improve on this card.........can you see them Jackie? The little flower is added as I have combined the sketch and the picture for Fusion. And one when we met up with Aimes in Covent Garden. We had not met Aimes before IRL just blogland. So our crafting world came together IRL and virtual friendships transported to reality!! Have you met any virtual crafting friends??? Hi Sandie! Your card is so balanced and yet has great dynamic movement! I love how you layered the frame over the speech bubble and the yellow dots make the eye flow all around your card. I too love how you used the items on your desk for this card. Some of my favorite cards to make are the ones I create from left over bits and pieces from my scrap box. My African Violet card from yesterday was created from everything in my scrap stash. I'm so glad you shared a photo of you, Lynn, and Aimes! I think it's wonderful when virtual friends can finally meet in person. Have a GREAT week Sandie! Lovin' that frame, Sandie! Such a sweet card! Oh how fun ... so cool you got to meet Aimes! And meet up with Lynn! Wonderful card. I'm a fan of "dust-free" chalkboards too. 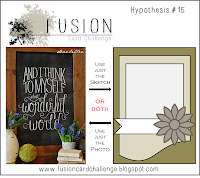 So glad you joined the FUSION challenge! Such a cute card...love what you've done! Now how fun that you met up with Lynn & Aimes! Gorgeous card! I love the composition and use of FSS stamps, Sandie! Love your photos with Lynn and Aimes! I know one of the best things in blogging is making and meeting friends (I am doing just that today!!). HUGS! Cute card, my friend. Love that colour combo - such a happy cheerful mix. That flower is just perfect where it is.